Osteoporosis is a chronic disease state characterized by low bone mass, deteriorated bone microarchitecture, and compromised bone strength which leads to an increase risk of fracture . In 2014, the National Osteoporosis Foundation estimated that nearly 10 million Americans have osteoporosis with an estimated 50% of Caucasian women and 20% of men experiencing an osteoporotic fracture in their lifetime [1, 2]. The clinical impact of osteoporosis to patients is significant. The one year mortality rate associated with hip fractures has been estimated to be up to 36%. Furthermore, patients who experience hip and vertebral fractures often suffer from pain, deformity, disability, loss of independence, and repeat fracture (2 to 5 fold increase of subsequent fracture following incident vertebral fracture) . As America’s population continues to increase, the expected cost associated with osteoporosis is expected to reach $25 billion by 2025 . Despite the recognition of the medical and economic impact and the call to action by the Surgeon General in 2004, osteoporosis remains underdiagnosed and undertreated. Data shows that only 23% of women aged 67 and older who have an osteoporosis-related fracture receive either a bone mineral density test or a prescription to treat osteoporosis in the six months after the fracture . Traditionally, to diagnose a patient with osteoporosis, healthcare providers have relied upon a bone mineral density (BMD) as the diagnostic criteria for osteoporosis [1, 4]. The WHO defines osteoporosis as a T-score of < -2.5 SD . However, data from the Rotterdam and NORA studies demonstrate that most fractures occur in patients who have T-scores above the osteoporotic threshold of < -2.5 [6, 7]. Therefore, a clinical care gap may exist if a healthcare professional is simply noting the T-score to identify which patients may be at risk of fracture. In 2014, in an effort to help close this clinical care gap related to osteoporosis diagnosis and subsequent treatment, the National Bone Health Alliance, NBHA released a position statement regarding the clinical diagnosis of osteoporosis . The Clinical Diagnosis of Osteoporosis Working Group, comprised of 17 clinicians and clinical scientists, recommended the following for postmenopausal women and men over the age of 50 in the USA: An individual who experiences a low-trauma hip fracture can be diagnosed with osteoporosis, with or without a BMD test; An individual who has osteopenia (T-score between -1.0 and -2.5) with a low-trauma clinical vertebral fracture, proximal humerus fracture, or pelvis fracture can be diagnosed with osteoporosis; An individual with an incidental finding of a vertebral fracture on radiograph can be diagnosed with osteoporosis if the clinician has a reason to believe that it likely to have been the result of low bone mass and reduced bone strength; An individual with a low-trauma distal forearm fracture can be diagnosed with osteoporosis if there is osteopenia at the lumbar spine or hip by BMD testing; and an individual with a 10-year probability of hip fracture ≥ 3% or a 10-year probability of a major osteoporotic fracture ≥ 20%, measured by FRAX can be diagnosed with osteoporosis . The proposed expanded definition of the clinical diagnosis of osteoporosis provides a unique role for clinical pharmacists to identify patients who are at high risk of fracture and who may benefit from clinical management through increased consideration of clinical risk factors in the absence of T-scores. FRAX is a tool designed to calculate a treatment naïve patient’s 10 year probability of a hip or major osteoporotic fracture (clinical vertebral, hip, forearm, or proximal humerus) based on individual clinical risk factors . The tool, available online and through a smart phone app, is simple to access and use. After collecting patient history, 12 clinical risk factors are input into the system to estimate the patient’s 10 year probability of a hip or major osteoporotic fracture. Because BMD score, not always readily available to pharmacists, is an optional input, the pharmacist can easily take advantage of use of the tool with information that can be collected in either patient charts or patient interview. Based on the calculated score produced, the pharmacist has an opportunity to identify the diagnosis of osteoporosis and make the appropriate treatment recommendations to treating physicians [1, 4]. KB is a 68 year old Caucasian female. She has been admitted to the local hospital for respiratory distress and pneumonia. The clinical pharmacist is consulted for appropriate use of antibiotic therapy. During rounds, KB tells the clinical team she believes she “got pneumonia” when visiting her mom in the nursing home. She has been so stressed out about not being able to care for her mom; she thinks her body “is just run down and not able to fight off infection”. While reviewing her chart, the pharmacist notes the following observations: KB is 5’2” and weighs 115 lbs with a history of hypertension, migraines, and anxiety. Current medications include: Lisinopril 10 mg QD, lorazepam1 mg BID, and sumatriptan 100 mg PRN. She reports occasional alcohol use (1-2 drinks on a Saturday night) and moderate tobacco use (1 pack per month when stressed). She is married with 2 children and her mother was recently placed in an ALF after she fell and broke her hip. Upon learning that KB’s mother had a fracture; the pharmacist becomes concerned that KB may also be at risk for fracture. When she brings this up to the clinical care team, the resident mentions that the team can refer her for DXA on discharge. Not wanting to miss an opportunity for diagnosis and treatment, the pharmacists suggests the team perform the FRAX calculation on KB. The FRAX calculator generates a 10-year probability of a major osteoporotic of 21% and hip fracture of 7.3%. Based on the FRAX score generated, the clinical team is able to add osteoporosis to KB’s list of diagnoses, initiate treatment, and make proper referral for discharge follow-up [1, 4]. The pharmacy team is also able to make a suggested change in KB’s anxiety medication as the current choice may increase her risk for falls and therefore risk of fracture. The ability to generate a diagnosis while KB is still in the hospital, as opposed to waiting for a T-score after discharge, decreases the risk of loss to follow-up and potential care gap. Pharmacists are providers who arguably have the most opportunities for interaction with patients. In fact, it is widely accepted that the pharmacy profession has accepted responsibility for providing patient education and counseling in the context of pharmaceutical care to improve patient adherence and to reduce medication related problems . Through patient counseling and education, pharmacists have the opportunity to identify treatment gaps and provide recommendations as part of the larger clinical care team. GP is a 70 year old Asian female who presents to your community pharmacy today to fill a prescription for pain medication following a wrist fracture when she tripped over her gardening hose. She asks to speak with you, the pharmacist, about what she should take to avoid getting constipated “like the last time she had to take pain medicine”. During your consultation with GP, you ask her if her doctor told her she has osteoporosis or if should be taking any medication for osteoporosis. She says she hasn’t seen her primary care physician since she fell. She went straight to her orthopedist who told her, “She was very lucky she didn’t break something else!” GP tells you she must have strong bones since she didn’t also break her hip and the doctor didn’t tell her she has osteoporosis. After addressing GP’s constipation concerns you explain to her that you are concerned she may have osteoporosis and may be at risk of experiencing another fracture. You explain to her that many patients who experience a fracture will often fracture again within the same year . You ask her if she minds if you contact her physician to recommend further evaluation. GP agrees. You reach out to GP’s physician and recommend based on history of wrist fracture and potential diagnosis of osteoporosis that she receive BMD evaluation. One month later, GP returns to your pharmacy with a prescription for a bisphosphonate. She tells you that after visiting her primary care physician, she went for a DXA test. She shows you the results which showed that her T-score was -2.2 at the femoral neck .The doctor told her that those results, along with her history of fracture, means she has osteoporosis [1, 4]. She thanks you for all of your help – without you, her osteoporosis and need for medication may have fallen off the radar. Six months after GP originally came in after her wrist fracture, she tells you that she decided not to take her bisphosphonate. She tells you she just really doesn’t think she could have “bad bones”. After all, the orthopedist told her “she was lucky she didn’t break something else”. She has had her cast off now for 4 months and after going through physical therapy, her wrist feels “very strong”. You decide to use the FRAX tool as an education tool with GP. You invite her to your consultation area where you bring up the tool on your computer. While looking at the screen together, you enter her data. The clinical care gap related to osteoporosis diagnosis and subsequent treatment is well documented. 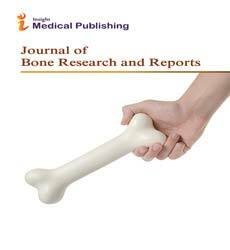 Data from a 2000 retrospective cohort study indicated that in the identified 1,162 women, fifty-five years of age or older, who sustained a distal radius fracture, only 2.8 received a bone mineral density scan and 22.9% were treated for established osteoporosis . In another study from 2002 examining records of hip fracture patients from 4 Midwestern US health systems demonstrated that DXA was performed in only 12%-24% of patients and only 7%-37% of patients received antiresorptive therapy . Reasons for lack of diagnoses through BMD are inconclusive but may relate to decline in DXA reimbursement (↓ 60% from 2006 to 2010), lack of access to DXA testing, and lack of apathy for a “silent disease” amongst patients and busy healthcare professionals . Whatever the reason, the fact that without diagnosis, patients will not receive treatment must not be underappreciated. In an effort to overcome the obstacle of osteoporosis diagnosis being made only through T-scores, NBHA suggests diagnosis through evaluation of clinical risk factors . This unique opportunity for pharmacists to identify patient with osteoporosis and make treatment recommendations will only continue to be valued by the greater clinical care team since approval of PQRS measures related to diagnosis and treatment . Through interaction with patients, pharmacists are able to make direct impact to measure 24: Percentage of patients aged 50 years and older treated for a hip, spine or distal radial fracture with documentation of communication with the physician managing the patient’s on-going care that a fracture occurred and that the patient was or should be tested or treated for osteoporosis, measure 40: Percentage of patients aged 50 years and older with fracture of the hip, spine, or distal radius who had a central dualenergy X-ray absorptiometry (DXA) measurement ordered or performed or pharmacologic therapy prescribed, and measure 41: Percentage of patients aged 50 years and older with a diagnosis of osteoporosis who were prescribed pharmacologic therapy within 12 month [12-14]. There are published studies which demonstrate pharmacist impact on osteoporosis care through medication therapy management, primarily focused on medication adherence [15-17]. The implementation of NBHA’s proposed diagnostic criteria for osteoporosis by pharmacists further increases their role in the clinical management of osteoporosis by helping to close the clinical care gap. By identifying a patient’s clinical risk factors and use of the FRAX tool, pharmacists may help to recognize the potential diagnosis of osteoporosis in patients and the need for treatment. Pharmacists and other healthcare providers utilizing the FRAX tool should be aware of potential limitations of the tool, including its recommended use only in treatment naïve individuals, not all secondary causes of osteoporosis were included in its design (vitamin D deficiency, primary hyperthyroidism), the tool is not inclusive of all risk factors, there is a lack of dose response with variables such as glucocorticoid dose, units of alcohol, and there is lack of validation in all ethnic groups and for patients < 40 years old or > 90 years old . Despite these limitations, the FRAX tool remains an excellent screening tool for pharmacists and other healthcare providers who seek to increase awareness of the risk of fracture as a result of an osteoporosis diagnosis as well as increase treatment initiation and compliance when indicated. The implementation of NBHA’s proposed diagnostic criteria for osteoporosis by pharmacist is, in theory, an opportunity for positive clinical outcomes. However, there is no data which demonstrates pharmacist clinical impact. Research should be conducted to determine if pharmacist intervention on the clinical diagnosis of osteoporosis through examination of clinical risk factors and use of the FRAX tool has an impact on diagnosis and treatment rates. National Osteoporosis Foundation (2014) Clinician’s Guide to prevention and treatment of Osteoporosis, Washington. Office of the Surgeon General (2004) Bone Health and Osteoporosis: A Report of the Surgeon General, Rockville. National Committee for Quality Assurance (2015) HEDIS & Performance Measurement. Proposed Changes to Existing Measures for HEDIS 1 2015: Osteoporosis Management in Women Who Had a Fracture (OMW), Washington. Siris ES, Adler R, Bilezikian J, Bolognese M, Dawson-Hughes B,et al. (2014) The clinical diagnosis of osteoporosis: a position statement from the National Bone Health Alliance Working Group. OsteoporosInt25: 1439-1443. Kanis JA (2007) Assessment of osteoporosis at the primary health care level. World Health Organization Collaborating Center for Metabolic Bone Diseases, University of Sheffield, UK. Schuitt SCE, van der Kliff M, Weel AE, de Laet CE, Burger H, et al. (2004) Fracture incidence and association with bone mineral density in elderly men and women: the Rotterdam Study. Bone 34: 195-202. Siris ES, Chen Y, Abott TA, Barrett-Connor E, Miller PD, et al. (2004) Bone mineral density thresholds for pharmacological intervention to prevent fractures. Arch Intern Med 164:1108-1112. American Society of Health-System Pharmacists (1997) ASHP guidelines on pharmacist-conducted patienteducation and counseling. Am J Health Syst Pharm 54:431-434. Freedman KB, Kaplan FS, Bilker WB, Strom BL, Lowe RA (2000) Treatment of osteoporosis: are physiciansmissing an opportunity? J Bone Joint Surg Am 82: 1063-1070. Harrington JT, Broy SB, Derosa AM, Licata AA, Shewmon DA (2002) Hip fracture patients are not treated for osteoporosis: a call to action. Arthritis Rheum 47: 651-654. Hayes B, Curtis J, Laster A,Saag K, Tanner SB, et al. (2010) Osteoporosis Care in the United States declinesin reimbursements for DXA. Journal of Clinical Densitometry 13: 352-360. NQF-Endorsed Measures (2015) Osteoporosis: percentage of female patients aged 65 years and older who have central DXA measurement ordered or performed at least once since age 60 or pharmacologictherapy prescribed within 12 months. National Osteoporosis Foundation and National Bone Health Alliance Quality Improvement Registration in Collaboration with CECity (2015) Non-PQRS Narrative Measure Specifications. Centers for Medicare and Medicaid Services (2015) Physician Quality Reporting System (PQRS) Measures list. Lai PS, Chua S, Chew Y, Chan S (2011) Effects of pharmaceutical care on adherence and persistence to bisphosphonates in postmenopausal osteoporotic women. J Clin Pharm Ther 36: 557-567. Irwin AN, Heilmann RM, Gerrity TM, Kroner BA, Olson KL (2014) Use of a pharmacy technician to facilitate postfracture care provided by clinical pharmacy specialists. Am J Health Syst Pharm 71:2054-2059. Heilmann RM, Friesleben CR, Billups SJ (2012) Impact of a pharmacist-directed intervention inpostmenopausalwomen after fracture. Am J Health Syst Pharm 69:504-509.